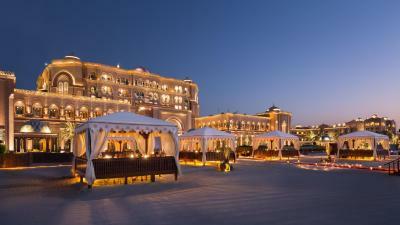 Lock in a great price for Emirates Palace Hotel – rated 9.1 by recent guests! Warm, friendly welcome on any occasion you entered the hotel. Every member of staff was polite and ready to offer their assistance should we have needed it. Luxury and feels that you are in a real palace. Being quiet inside. There are lots of choices in breakfast. It was our 2nd visit to Emirates Palace. In fact, it was one of the two reasons why we went back to Abu Dhabi. I mean, the rooms there weren't fansy at all, BUT, the people there were fantasitic. They really made us feel home, and made us wanna go back there again soon. 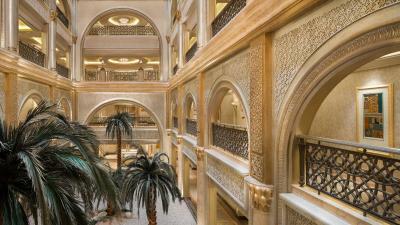 One of the uniqueness of Emirates Palace was the areas outside your room and inside the main hotel entrance. 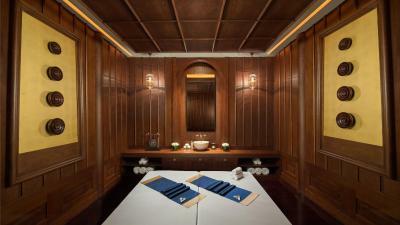 The interior was just amazingly elegant, with warm and welcoming staff all around. We as a family loved everything about the hotel . Best place to spend quality time with your loved ones . Kids had so much fun from the beach kids club , sport activities, kids pool , free water sport activities ( kayaking , wind surfing etc.) their private beach is so quiet and super clean . Variety of restaurants from local food , Greek , Spanish, Chinese , Italian etc. Overall hotel - unique and incomparable to anything else. Rooms, restaurants, service, beach area, sea access, facilities etc - everything is just excellent. 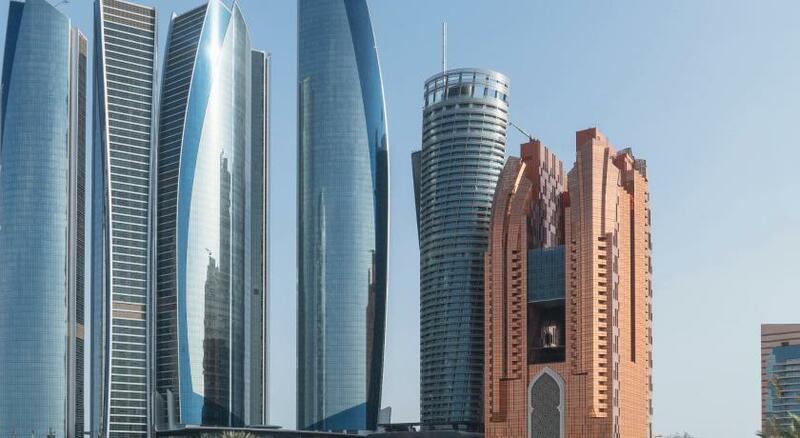 I don’t know ANY other comparable hotel in Emirates. $3bn investments (based on rumors) is something I could easily believe in and on top Kempinski manages this quite well. The facilities are magnificent, staffs are very friendly. You even have a butler, which is great if you receive actual services from them. Living in a Diamond Room is quite refreshing. Staff are very accommodating and attentive to guest with happy attitude. I loved the suite that i upgraded to by paying an extra fee. I loved our butler. And i loved the resturant staff, who took good care of us and provided exceptional service to our dinner. I really appreciate the manager and our waiter for that day. Made such a difference and made my family feel special. 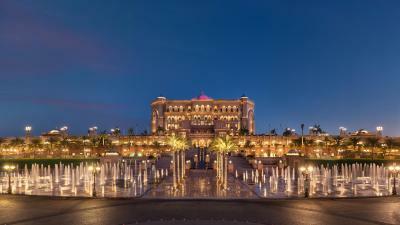 Emirates Palace Hotel This rating is a reflection of how the property compares to the industry standard when it comes to price, facilities and services available. It's based on a self-evaluation by the property. Use this rating to help choose your stay! 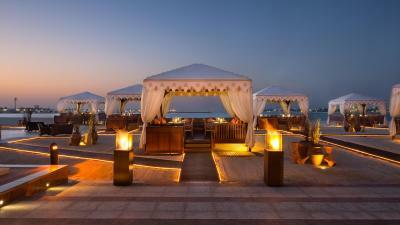 One of our top picks in Abu Dhabi – and a guest favorite. Located on the shores of the Arabian Gulf, overlooking its own private natural bay, Emirates Palace Hotel is located on 0.8 mi stretch of private beach. The silver, gold and glass mosaics décor is evocative of Arabia’s rich history of hospitality. This luxury accommodations, with the latest technology and 14 food and beverage outlets to choose from during your stay, offers guests the very best of new and old world charm. All rooms and suites feature luxurious bedding, and well-appointed furnishings. All rooms have spacious marble bathrooms and come equipped with an iPad mini with integrated room controls, interactive HD TV, a choice of over 150 TV channels, complimentary movies, On Demand services and free high speed WiFi. Every room comes with 24-hour butler service. 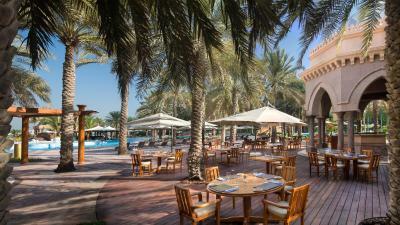 The Pavillion features panoramic sea views and à la carte menus or buffets that serve a selection of Arabic mezze, Middle Eastern and international inspired dishes, as well as Emirati signature dishes from Mezlai. Emirates Palace’s diverse range of the world’s finest cuisine in its 14 opulent restaurants offers meals to tempt every gastronome. Diners may experience exquisite seafood at Sayad served with a magnificent view of the Gulf, and the Palace’s Caviar Bar is renowned for its world-class champagne menu and caviar selections. Diners may dine as the locals do at Mezlai or simply partake in an international smorgasbord at La Vendôme. 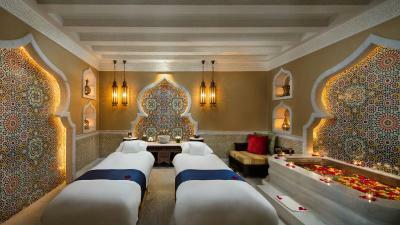 The hotel has 2 expansive swimming pools, and a spa that offers massages, and a full range of lavish body treatments. 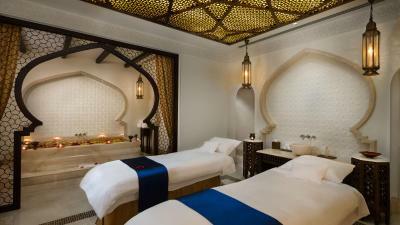 The Emirates Palace also has a fitness center and a kids’ club so enjoyable small guests will beg their parents to stay. Emirates Palace Hotel is 25-minutes’ drive from Abu Dhabi International Airport and the Abu Dhabi National Exhibition Center. The Palace is few minutes away from high end shopping malls, numerous restaurants and cultural institutions, and Marina Mall and Heritage Village are a mere seven minutes’ drive away. 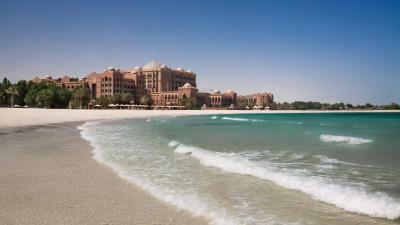 When would you like to stay at Emirates Palace Hotel? This coral room offers lush views of landscaped grounds from a private balcony. Spacious and air-conditioned, this room also comes with a sitting area, LED/LCD TV and an in room entertainment system. The bathroom includes a bathrobe, slippers and toiletries. This room can accommodate 2 adults and 1 child with existing beds. Pearl rooms include a private balcony with partial sea views. This room also comes with a sitting area, LED/LCD TV and an in room entertainment system. The bathroom includes a bathrobe, slippers and toiletries. This room can accommodate 2 adults and 1 child with existing bedding. Diamond rooms include a private balcony with scenic views of the Arabian Gulf. This room also comes with a sitting area, LED/LCD TV and an in room entertainment system. The bathroom includes a bathrobe, slippers and toiletries. This room can accommodate 2 adults and 1 child with existing bedding. Each of our Khaleej Suites features a private world-class entertainment center, sea views of the deepest mesmerizing turquoise, and contemporary décor that exudes the height of luxury living. This Emirates Palace Suite welcomes you to an extravagantly-dressed king size bed and a fully-appointed bathroom with your own Jacuzzi, providing the perfect backdrop for your trip to Abu Dhabi. It includes complimentary breakfast and refreshments. This suite can accommodate either 2 adults and 2 children under 12 or 3 adults with an extra bed at an additional charge. The Khaleej Deluxe Suite will take your breath away with its spectacular 180-degree scenic view of the Arabian Gulf and its turquoise blue waters. 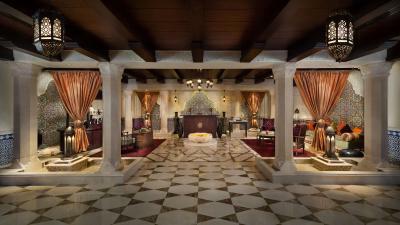 The Khaleej Deluxe Suite can accommodate a maximum of 3 adults with the installation of an optional extra bed. It includes complimentary breakfast. - International buffet breakfast included. 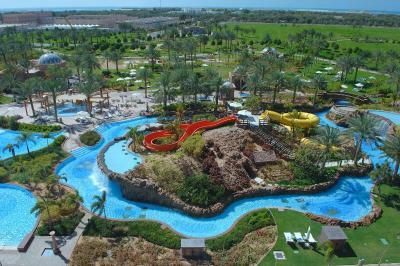 - Unlimited access to kids club & Adventure pool. - Complimentary Camel riding from 7AM to sunset. - Complimentary use of our non-motorized water sports. - One extra bed per room free of charge. 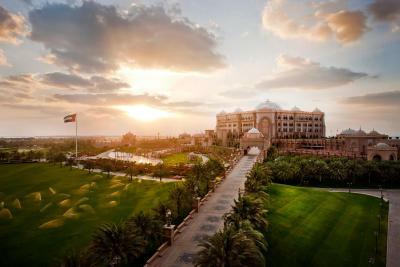 Unprecedented luxury in the heart of Abu Dhabi is what Emirates Palace is all about. From our private beach to our very own marina overlooking a private natural bay, our hotel is the ultimate destination. 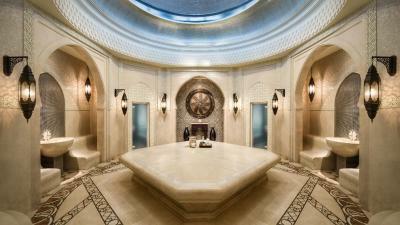 House Rules Emirates Palace Hotel takes special requests – add in the next step! Any additional older children or adults are charged AED 650 per night for extra beds. Emirates Palace Hotel accepts these cards and reserves the right to temporarily hold an amount prior to arrival. Ramadan promotion includes Iftar buffet, AED 100 spending credit for Sohour per room per night and complimentary late check-out until 4:00 PM. 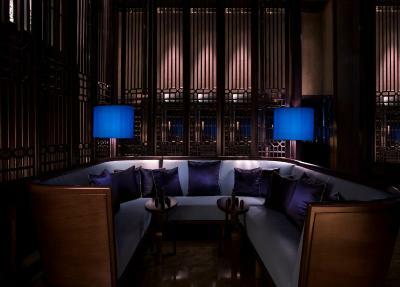 Enjoy complimentary Palace Lounge access when suites are booked. For any bookings made by people below the age of 21, the hotel check in is not allowed and no booking refunds will be made. Please note that all guests must present valid IDs upon check-in. Please note that the dress code for guests at check in is smart casual. Please contact the hotel for more information. Please note that a valid credit card is required to guarantee the reservation which will be pre-authorized at the time of booking. Please note that only the suites can accommodate extra beds. This is available for an extra fee. Enjoy complimentary Palace Lounge access and AUH airport transfers when suites are booked. This offer only applies to newly made reservations, Iftar reservations must be made through the property's Restaurant Reservations line at least 24 hours prior to check-in. Children from 0-5 years of age dine free of charge, excluding beverages. Any children above 12 years of age will be charged the full rate. Terms and conditions apply. Personal supplies of food & beverage may not be brought or ordered into the hotel. There will be a mandatory New Year's Eve Gala Dinner on 31 December at a charge of AED 2,865 per person. 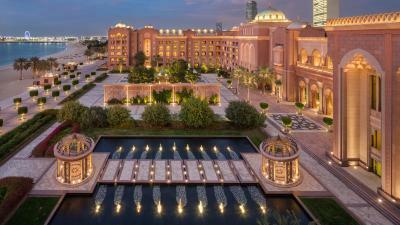 For children between the age of 6 and 12 years the Gala Dinner charge would be AED 1,432.50.
too many touristst come to visit the entry and the fountains, it is really overcrowded, I 've been many times here and I will not come back anymore, it is a hotel , not a touristic attarction !! shame Emirates Palace !! Breakfast and seating area in restaurant was too congested . This trip was for my mam and dad. My dad had to use a wheelchair and the staff were so accommodating and helpful at every stage. Could not thank the staff enough. Staff exceptionally informative and friendly. Very enjoyable and relaxed stay. 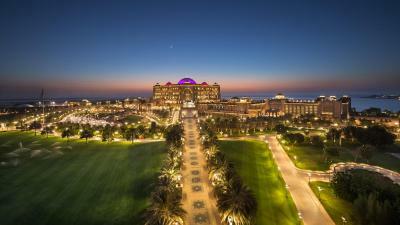 There is nothing that we didn't like at the Emirates Palace Hotel. It is sooooo big that you will take up to 10-15 mins from one end to the other. Be prepared! Gorgeous property, amazing facilities, incredible staff (Marshall from Le Cafe was very helpful). It's literally like being in a palace.